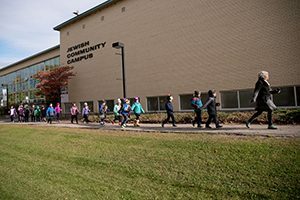 The Ottawa Jewish Community School is dedicated to providing excellence in education. 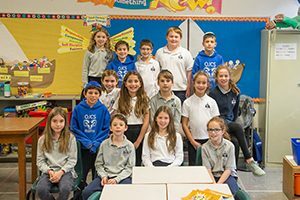 At the OJCS, we encourage and challenge our students to achieve academic excellence and inspire them to develop a life-long love of learning. Our faculty is committed to providing the most current practices in education and the best possible learning experience. 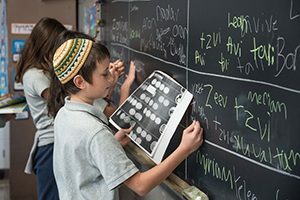 Our students benefit from innovative teaching practices, use of advanced technology, integration between secular and Judaic studies, small class sizes and a program of study that is inquiry-based and designed to prepare students for success in life. 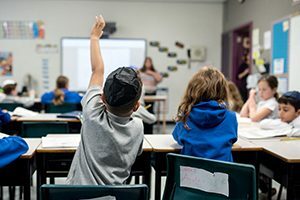 The trilingual academic program for kindergarten to grade eight follows the Ontario Ministry of Education curriculum for language arts, math, science and social studies, as well as music, visual arts, physical education and integrated technology, and clearly identifies the knowledge and skills students are expected to demonstrate in the classroom. Enriched learning experiences are created through presentations, fieldtrips, workshops and hands-on, inquiry-based learning. OJCS accommodates different learning styles and we set expectations that call for the use of a variety of instruction, assessment tools, and strategies. Through differentiated instruction we encourage students to critically think, reflect and to question effectively in order to continually grow and learn. Smaller class sizes provide students with the attention they need from teachers to achieve maximum results. Students are provided with a rich literacy program, which strengthens their reading skills, comprehension, communication and writing development. We use the PM Benchmark and CASI reading assessments three times a year to track students’ progress. Our strong math program includes a dedicated math coach and a focus on problem-based learning, critical thinking and a challenging and robust curriculum that includes Mathletics, an online interactive math resource. 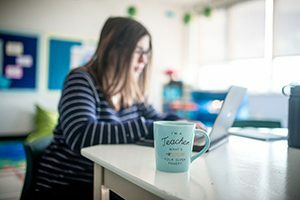 Our math coach on staff helps our teachers develop lessons for children with learning difficulties or those who need a more advanced curriculum, ensuring each individual child attains proficiency.